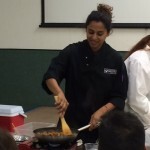 Our October 6th meeting will feature a culinary demonstration of mushroom cuisine by Chef Kimberly Coelho. The meeting will be hosted in Room 101, Casa Del Prado in Balboa Park. 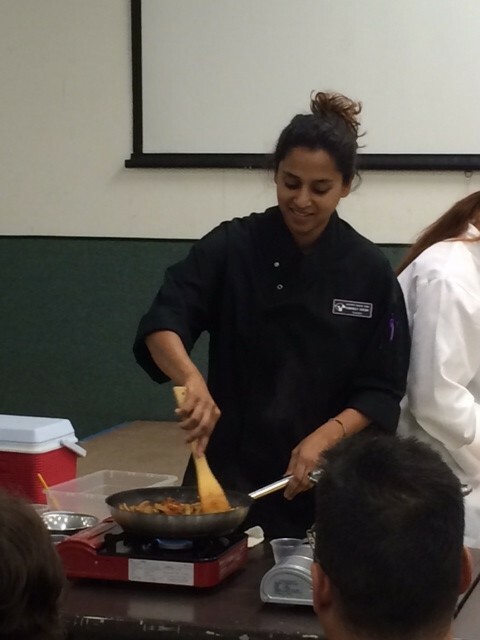 Kimberly Coelho is a culinary educator with a passion for sustainable cuisine. She has over five years experience teaching high school culinary students. Whether trying out new recipes, coaching students for the culinary competitions, entertaining friends, or reading cookbooks on the couch, good food is always on her mind. With a Bachelor’s Degree in Hospitality Management, Catering Technology and Applied Nutrition, she began her career at the esteemed Taj Mahal Hotel in Mumbai. Furthering her education, she earned a Master’s Degree in Hospitality Administration from Institute Vatel in Nimes, France. Kimberly also worked as a pastry chef at Relais de Margaux in the Medoc region of France, becoming locally famous for her caneles. In addition to her home garden, she has built two organic school gardens. She is passionate about food sustainability, is a master composter and incorporates all aspects of food and the environment into her classroom. Kimberly has written and developed nutrition curriculum for the University of California A-G high school curriculum standards as well as for middle and high school online nutrition courses. Kimberly was born in Mumbai, India and has also lived in Belgium and France. Growing up in an East Indian/ Portugese household, she learned the art of Goan cuisine from her mother and grandmother. She now lives in San Diego with her husband where she enjoys hunting wild mushroom in its all too short rainy season.